The 80% Compact Pistol Frame offers the compatibility with T 19/23 Gen3 components, the PF940C™ is an industry first. Features like the extended beavertail double undercut trigger guard, and a thumb ledge considerably enhances the ergonomics allowing for an effective grip and improved recoil mitigation. This slide is meant to be used with T9mm barrels only. These are all factory OEM parts from T19. 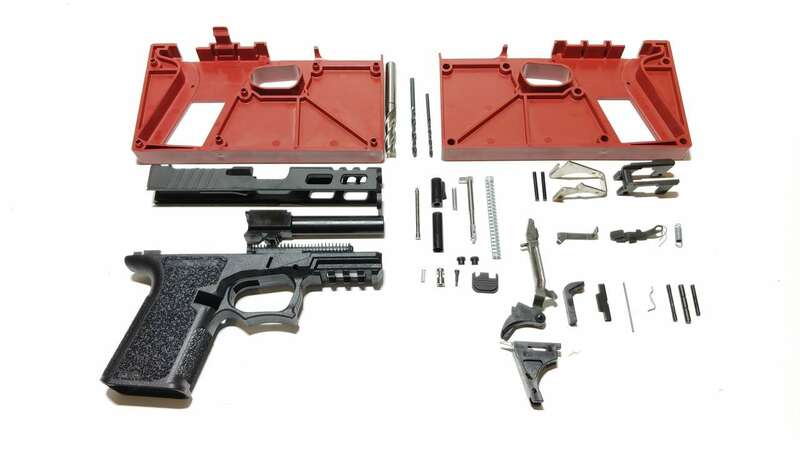 Factory T19 19 Gen-3 9mm Lower Parts Kit. Fits any T19 Gen-3 or P80 Compact-Size 9mm/40 frame. These are genuine T 19 Gen 3 factory parts for T Gen 1-3 19s or Polymer 80 Compact frames.